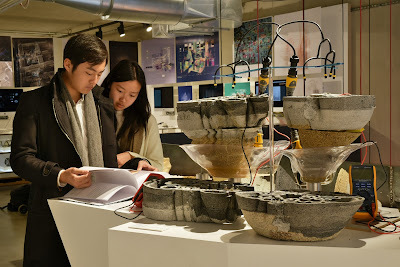 Bio-ID wins the Water Design Future's international competition (category Systems and Infrastructures) with project INDUS - the future of water remediation + exhibition at ADO gallery, New York USA. 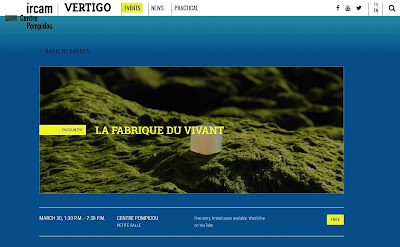 Presentation at the symposium Vertigo / La Fabrique du Vivant, at IRCAM / Centre Pompidou, Paris France. 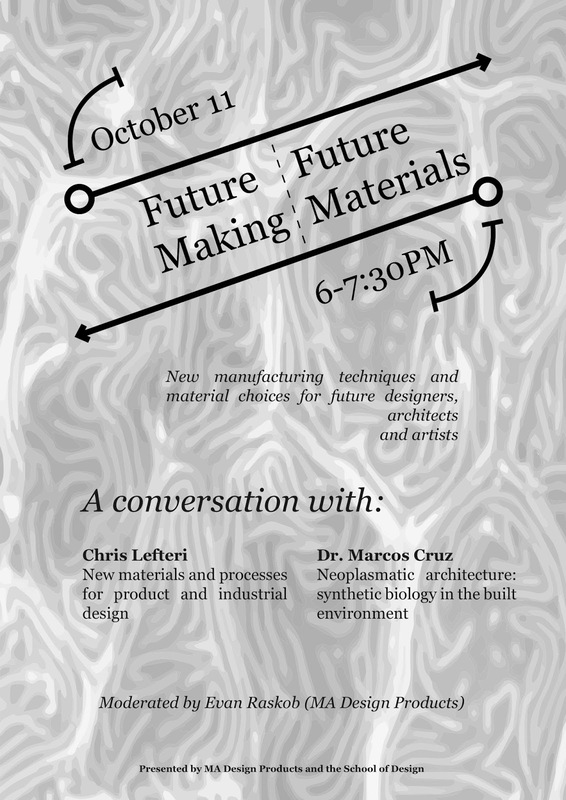 Speakers: Eric Klarenbeek and Maartje Dros (artist), Maurizio Montalti (Officina Corpuscoli, The Netherlands), David Benjamin (architect), Teresa van Dongen (designer), Guillian Graves (designer), Stéphane Douady (physicist, director of research CNRS), Amy Karle (artist), Hongjie Yang (designer, researcher), Alexandra Daisy Ginsberg (artist, designer), Julian Melchiorri (engineer, designer), Donald Ingberg (biologist and director of the Wyss Institute, University of Harvard), Philippe Marlière (biologist), Claudia Pasquero (architect, EcologicStudio), Anouk Legendre (XTU Architects, Paris), Spela Petric (artist), Jean Luc Hervé (composer), Annick Lesne (physicist, director of research CNRS), and Marcos Cruz (architect, Bio-ID). 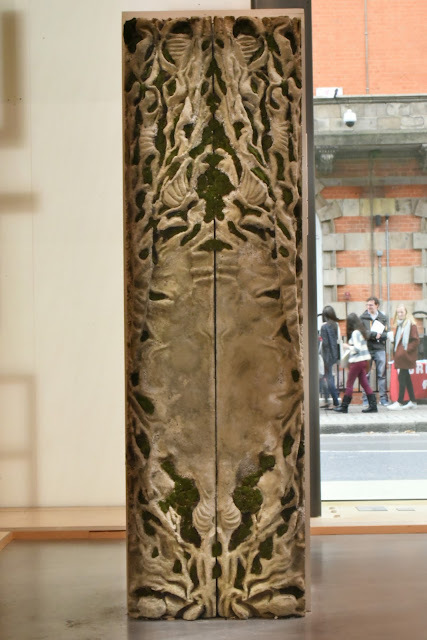 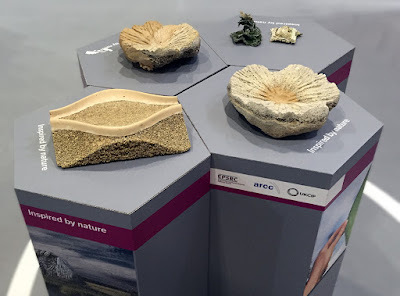 Bioreceptive Panel in exhibition at FUTUREBUILD 2019, as part of The Concrete Centre / MPA exhibition - The Shape of Things to Come, London UK. 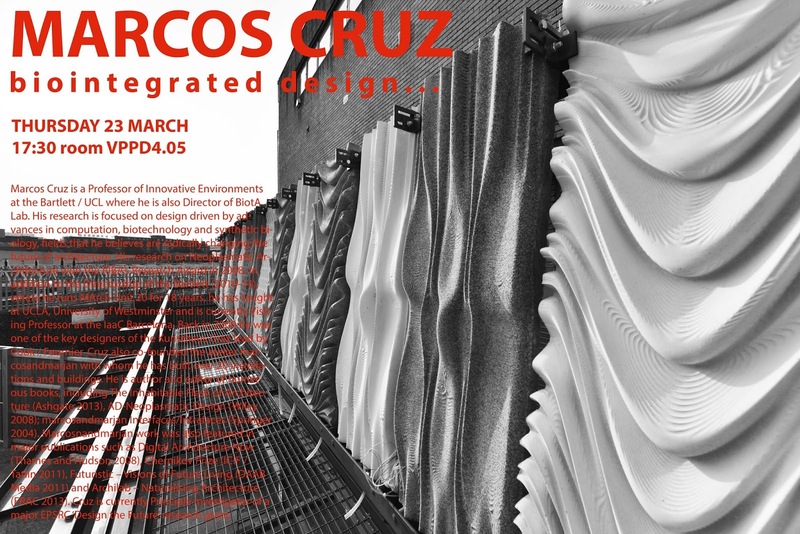 Team: Marcos Cruz with Javier Ruiz and Richard Beckett, with collaboration of Nina Jotanovic and Anete Salmane. 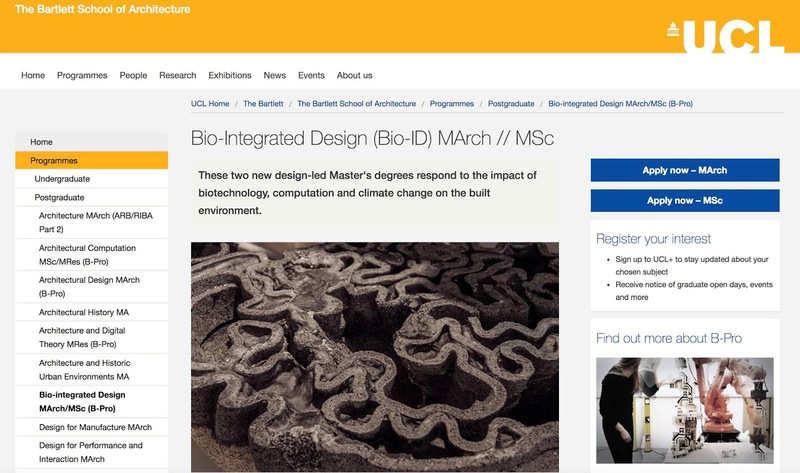 Applications open for the March / MSc in Bio-Integrated Design, The Bartlett UCL, London UK. These two design-led Master's degrees respond to the impact of biotechnology, computation and climate change on the built environment. 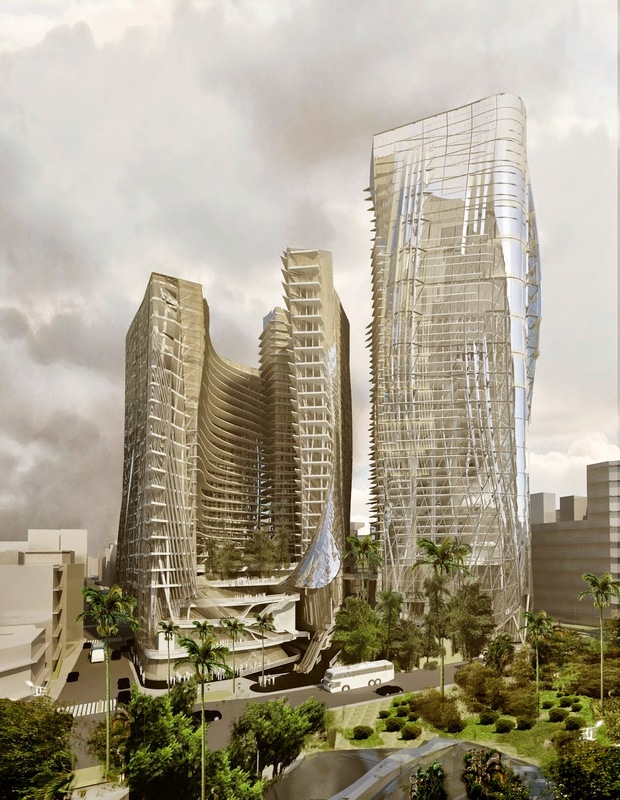 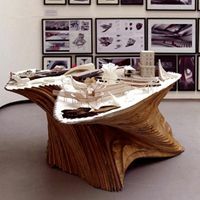 Bio-Integrated Design (Bio-ID) takes these fields of study as the foundation for developing novel and sophisticated design solutions to shape the future of our cities. 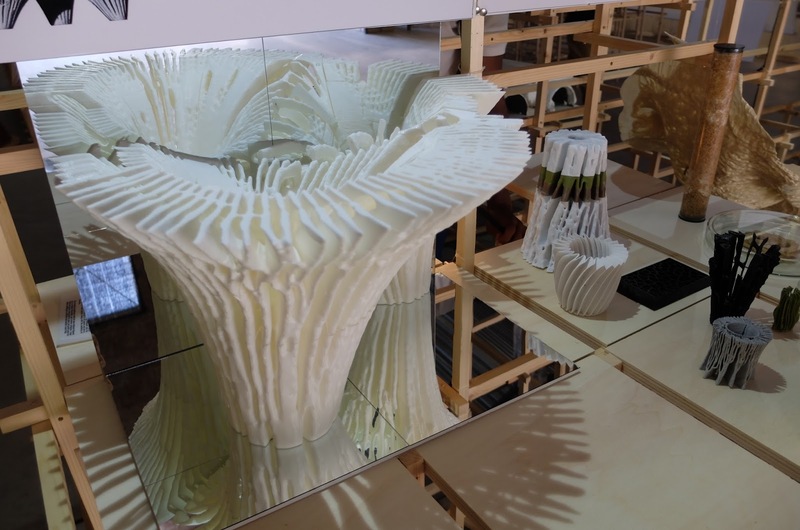 Taught jointly by The Bartlett School of Architecture and UCL’s Biochemical Engineering Department, Bio-ID combines design experimentation with scientific methods, seeking new modes of simulation and production, and exploring how advances in the fields of synthetic biology, material science and digital fabrication is changing future design practices. 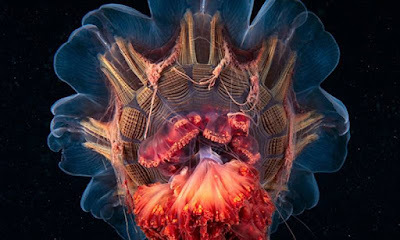 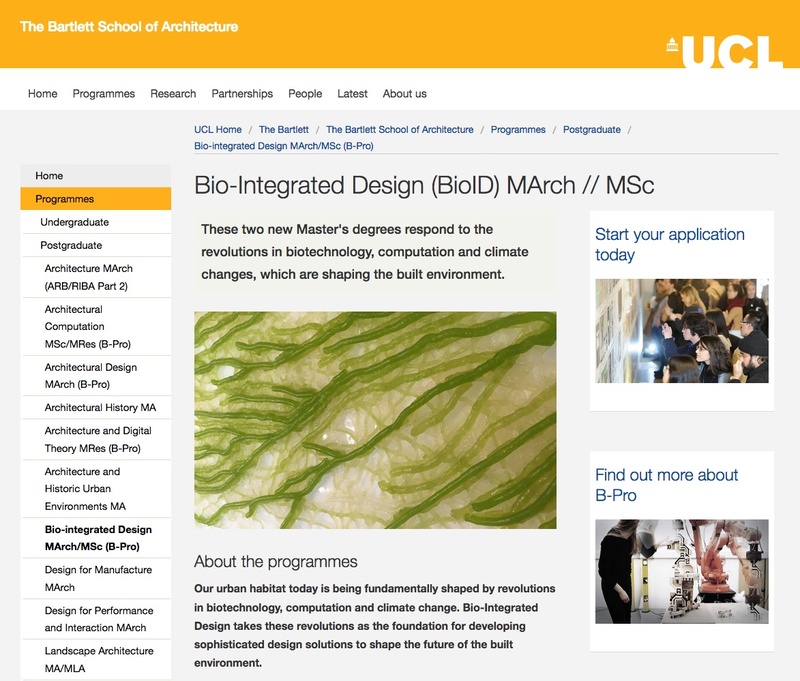 Two distinct Bio-ID programmes are available: an MArch degree and an MSc degree. 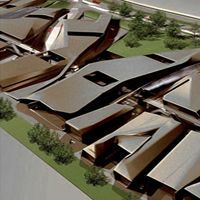 Applicants will be able to apply depending on their background and whether they seek to specialise in more exclusively design or more science-driven outputs. 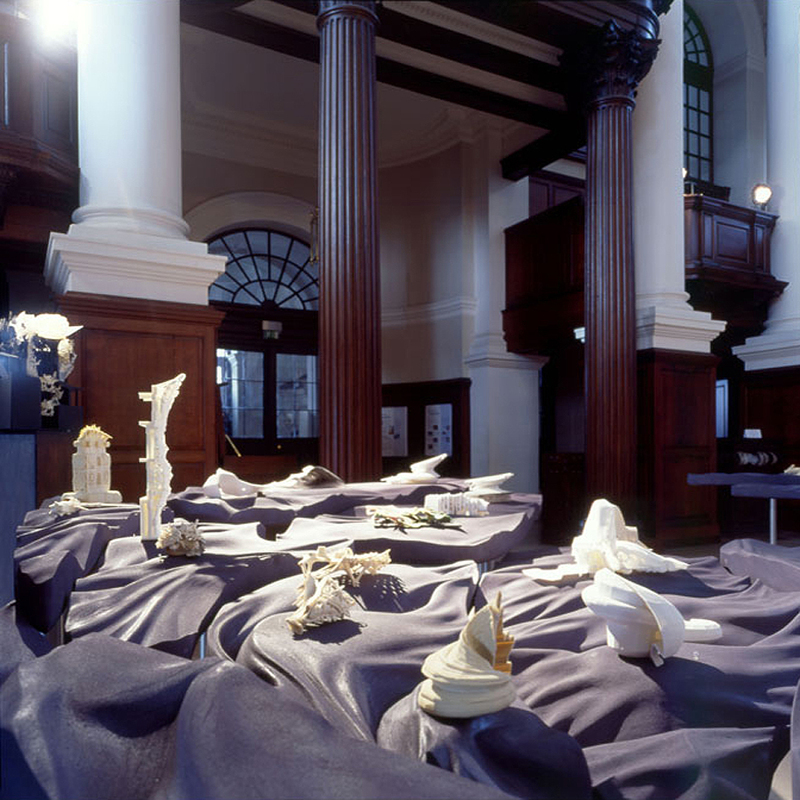 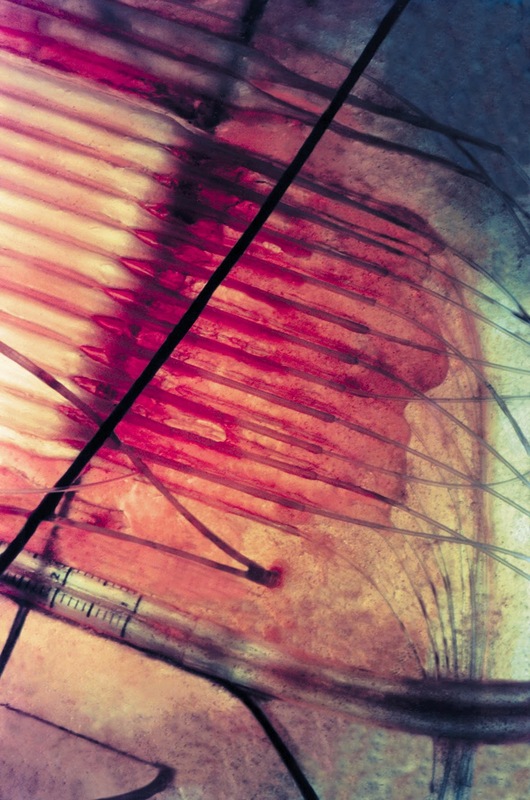 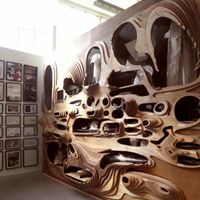 Bio-Integrated Design is part of B-Pro, a group of five programmes at The Bartlett with a unique shared philosophy. 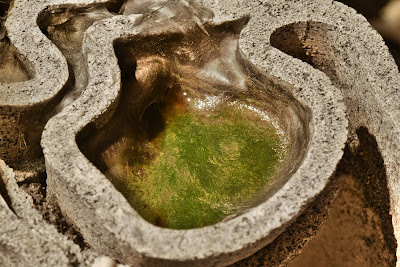 Bio-ID (Marcos Cruz, Brenda Parker & Shneel Malik) in exhibition at 'La Fabrique du Vivant', CENTRE POMPIDOU (as part of the series Mutations/Creations 3), Paris France. 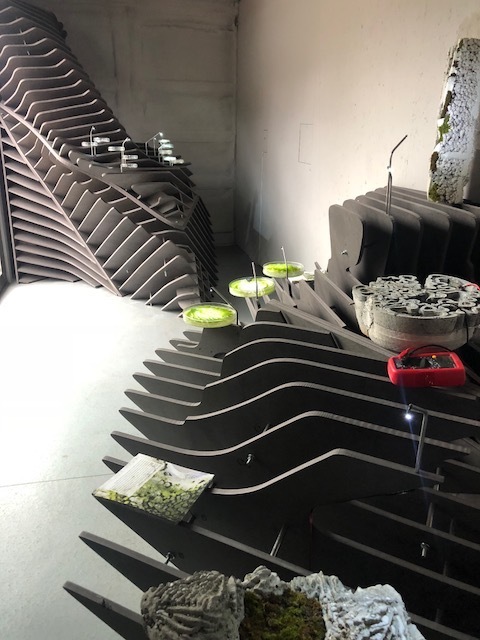 Two projects in exhibition: Bioreceptive wall for the St Anne's Primary School in London (Design Marcos Cruz and Javier Ruiz with industrial partner Pennine Stone) and three dishes for bioremediation/biosorption/Biophotovoltaic research (with Paolo Bombelli). 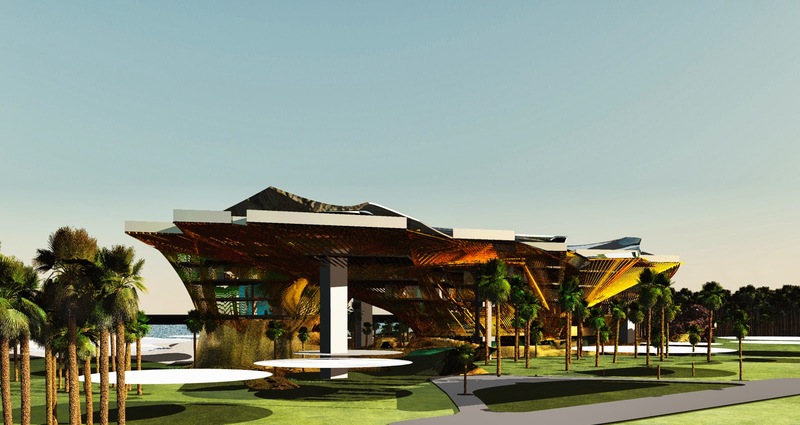 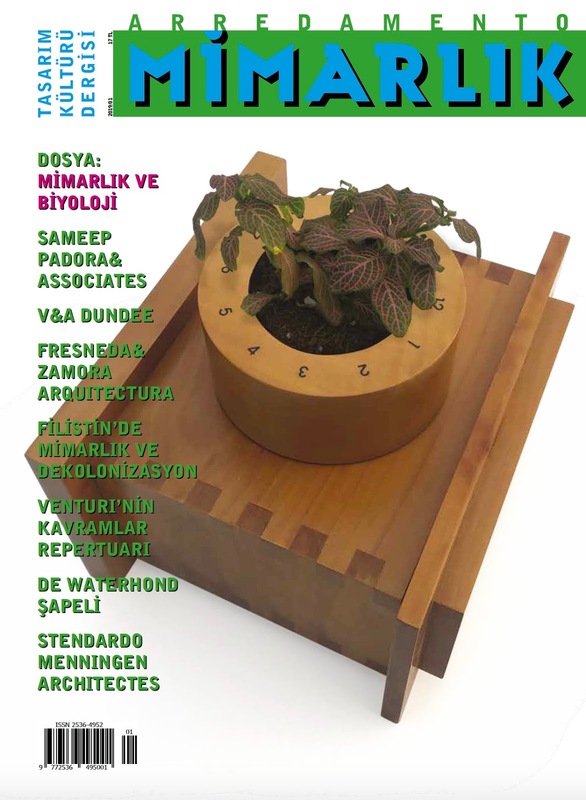 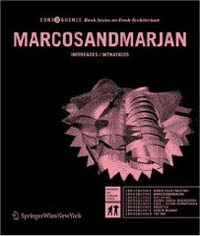 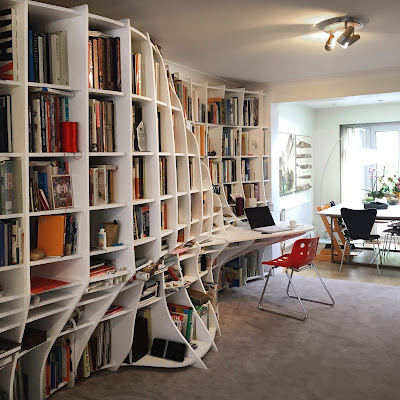 Interview 'Interdisciplinary Architecture Approaches - with Marcos Cruz', published in Arredamento MIMARLIK (ed Idil Yucel Inal), Turkey, 2019 (pp. 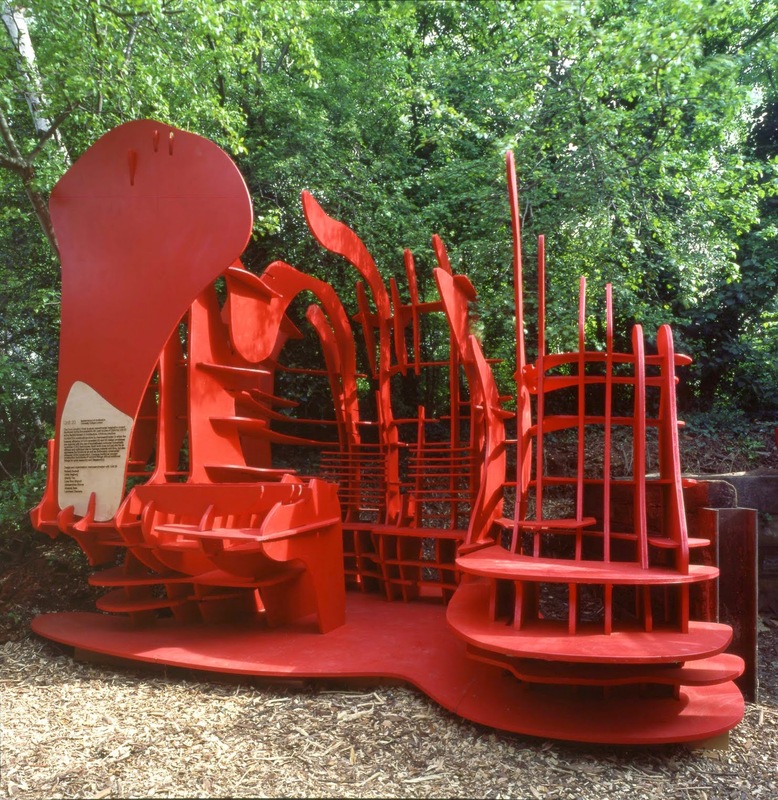 51-57). 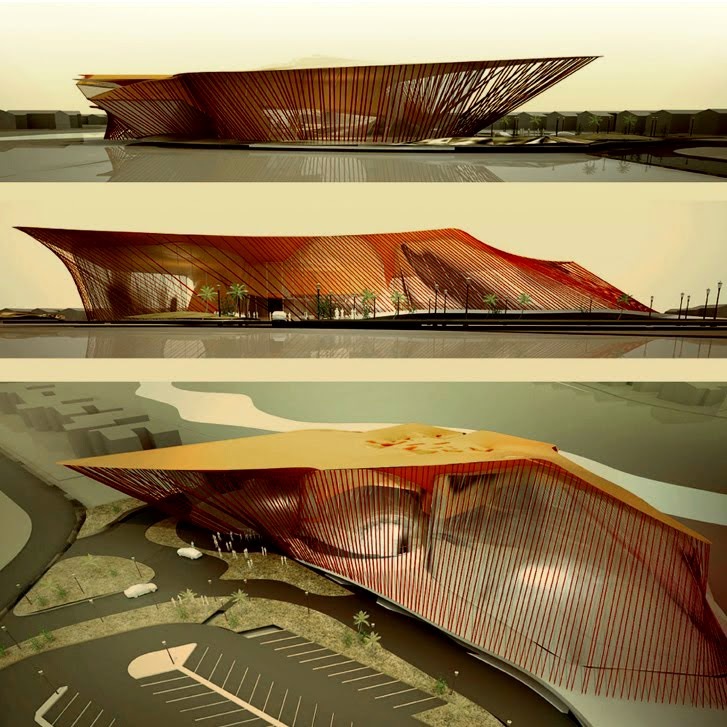 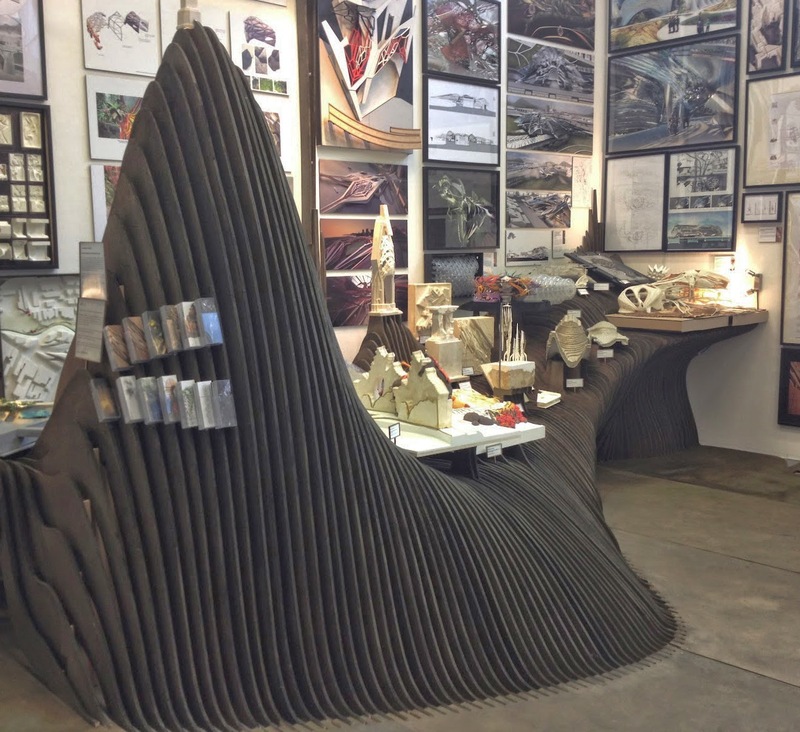 Shortlisted project submission INDUS - the future of water remediation for the Water Design Futures, NY USA. 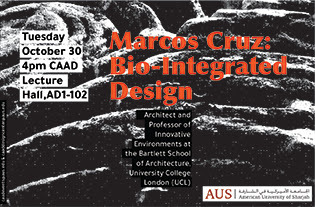 Guest Lecture at American University of Sharjah, UAE. 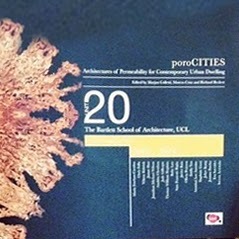 CRIT of Bio-ID at the Bartlett School of Architecture, London UK. 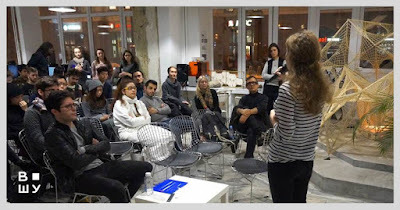 Guest talk at Biomaterial Platform / Fashion Department, Royal College of Art, London UK. 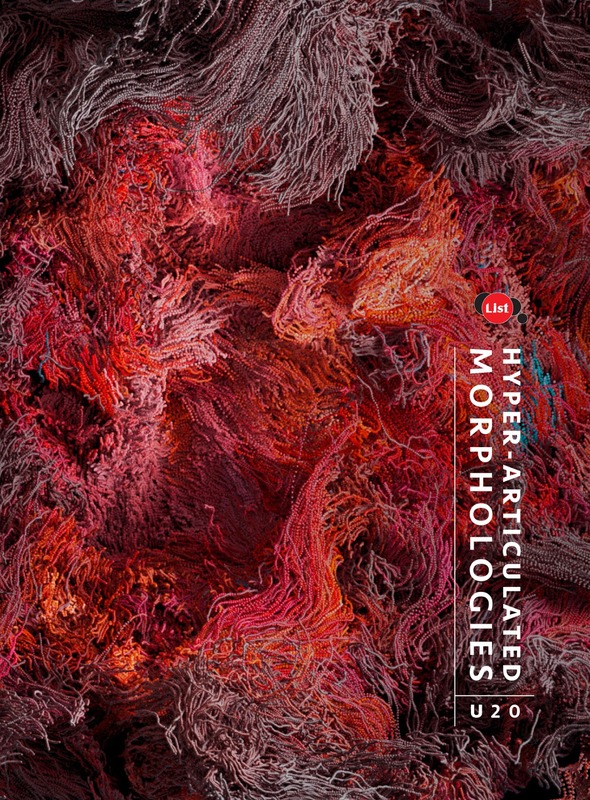 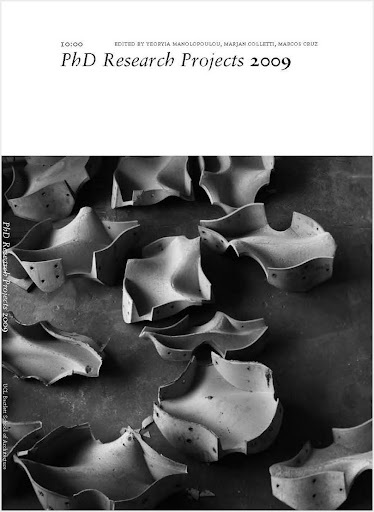 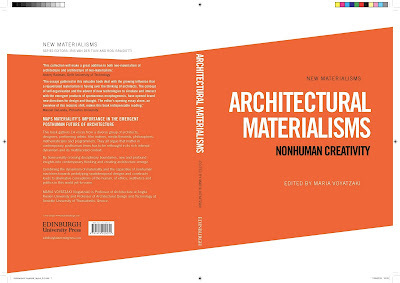 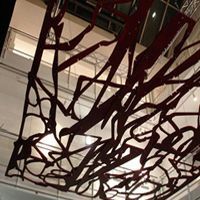 Book chapter 'Paramateriality - Novel Biodigital Manifolds' published in Architectural Materialisms - Nonhuman creativity (ed. 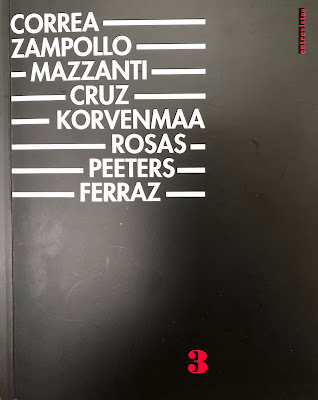 Maria Voyatzaki), Edinburgh University Press, 2018. Kick start of Marcos Cruz studio MAA 02, at Institute of Advanced Architecture of Catalonia / IaaC, Barcelona Spain. 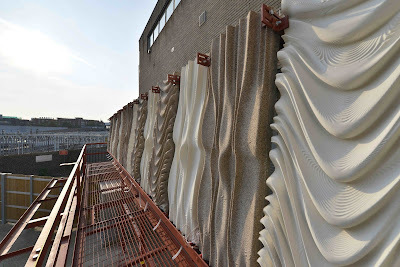 Bio-ID, Bartlett UCL, London UK. 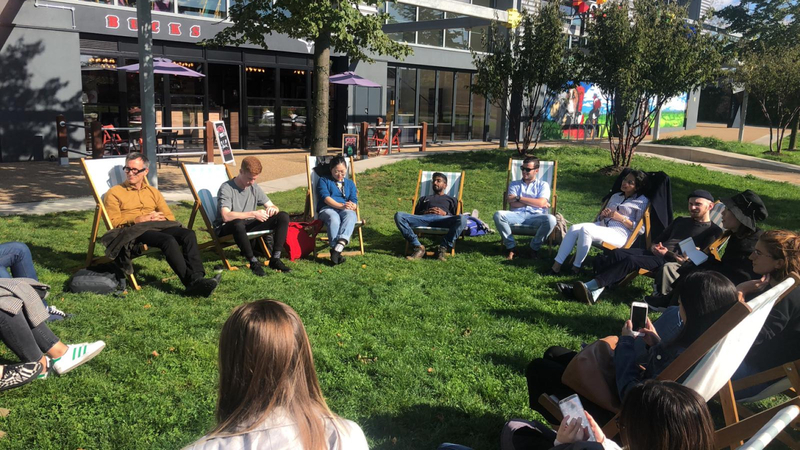 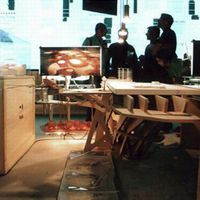 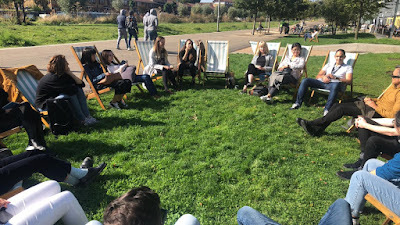 Speaker of Round table discussion at Designjunctions - London Design Festival, London UK. 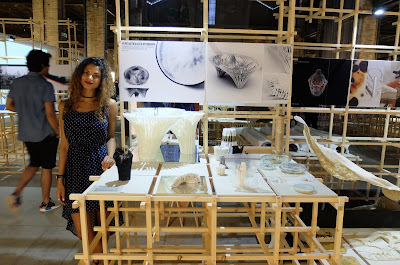 Chair of talks at BioDesign/Here and Now - London Design Festival, Open Cell, London UK. 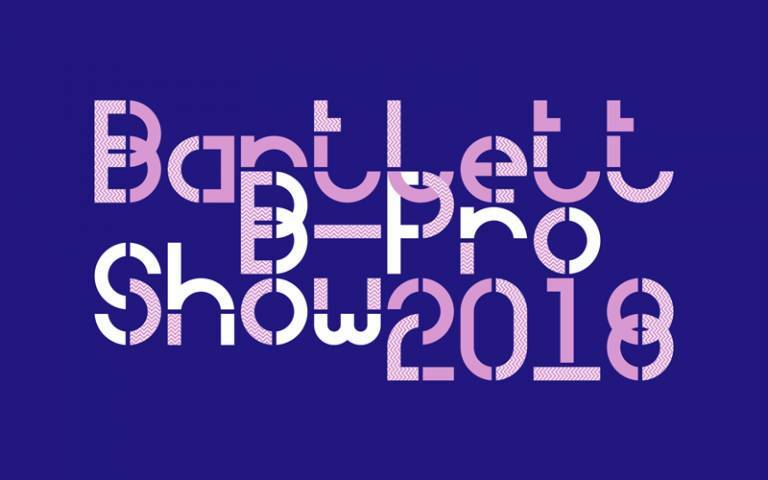 B.PRO Final Exhibition, London UK. 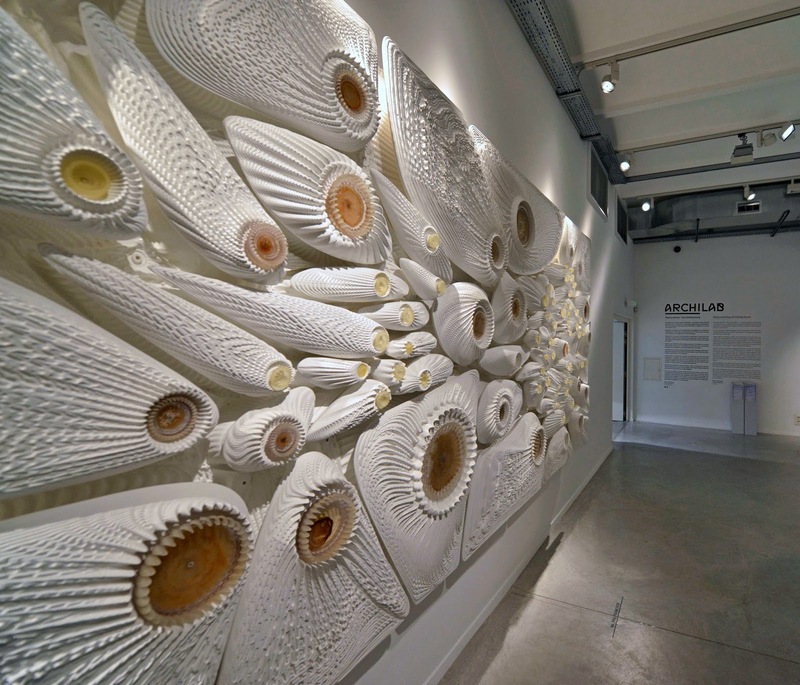 Bio-ID: Exhibition opening at BioDesign - Here and Now, as part of the London Design Festival, London UK. 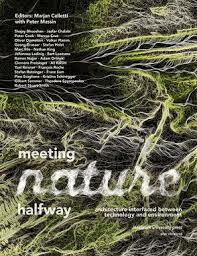 Book chapter 'Bio-Integrated Design' published in Meeting Nature Halfway (ed. 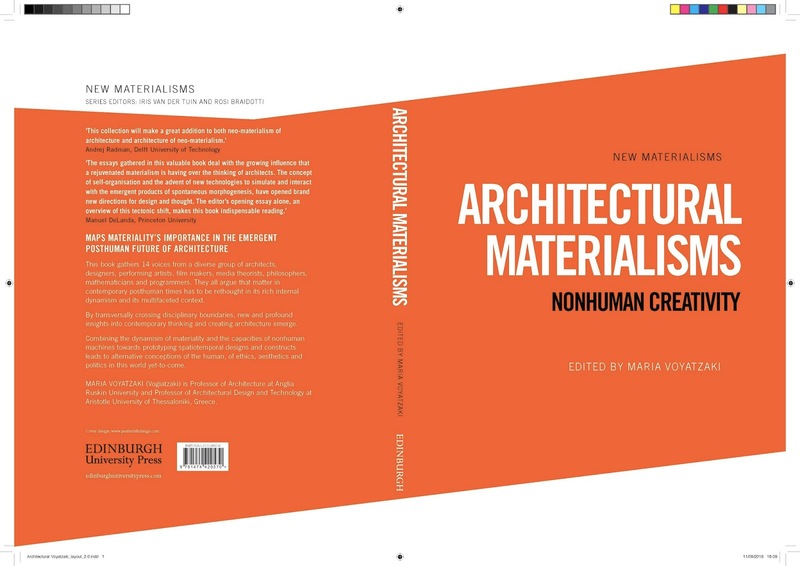 Marjan Colletti), Innsbruck University Press, 2018. Contributors: Robert Stuart Smith, Yael Reisner, Kristina Schinegger, Theodore Spyropoulos, Stefan Rutzinger, Bart Lootsma, Peter Cook, Marcos Cruz, et al. Opening of Unit 20 exhibition at Bartlett Summer Show 2018, London UK. Speaker of round table discussion 'Digital Matter' - Institute of Advanced Architecture of Catalonia, Barcelona Spain. 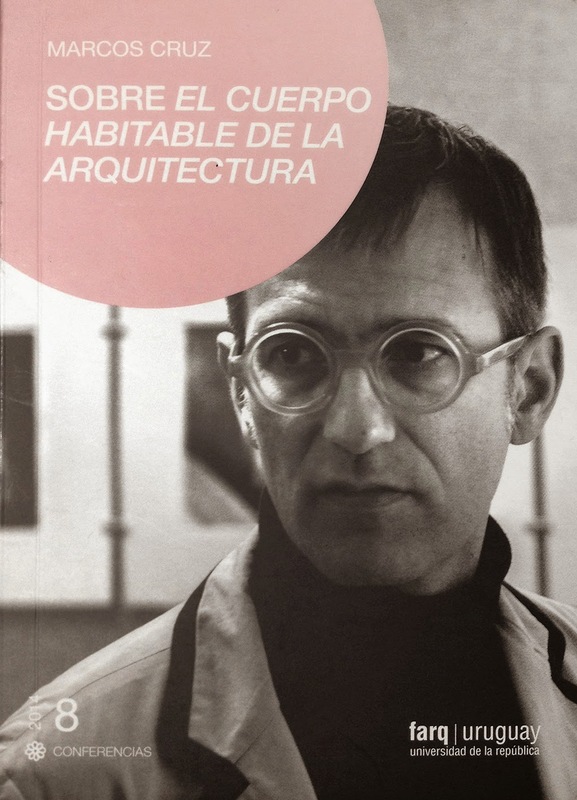 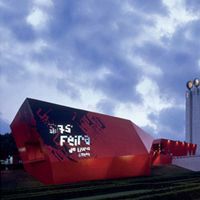 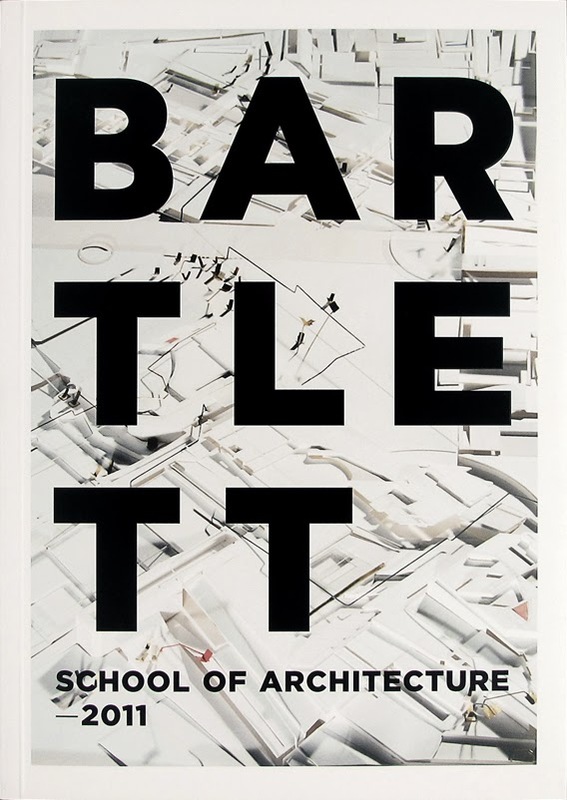 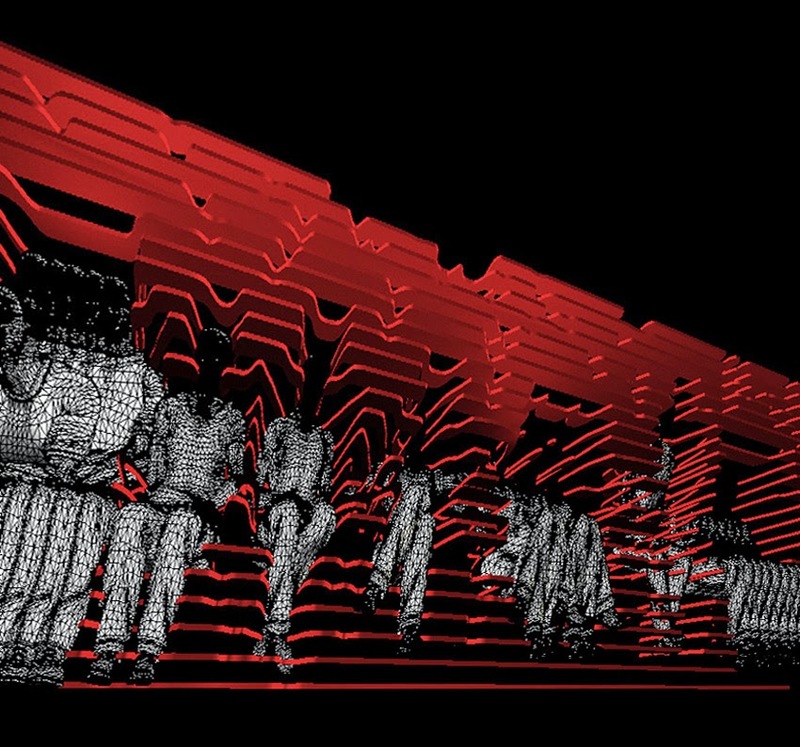 Validation of Masters of Architecture and Urbanism - AADRL, Architectural Association, London UK. Jury Chair of the international architecture competition Hsinta Ecological Power Plant (conceptual stage 2 - final selection), Taipei Taiwan. 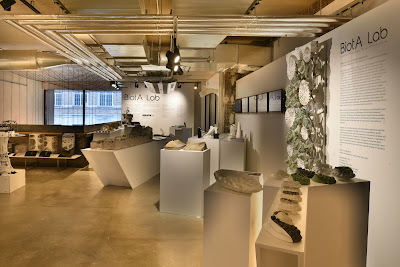 Marcos Cruz and BiotA Lab mentioned in article "Concrete is Becoming Smarter, More Sustainable and Beautiful" (by Elizabeth Pagliacolo), in Azure magazine, Toronto Canada. 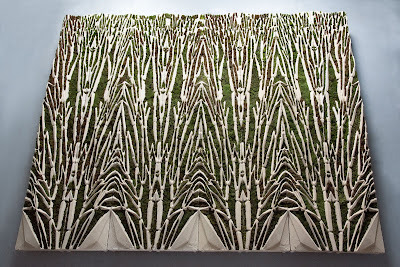 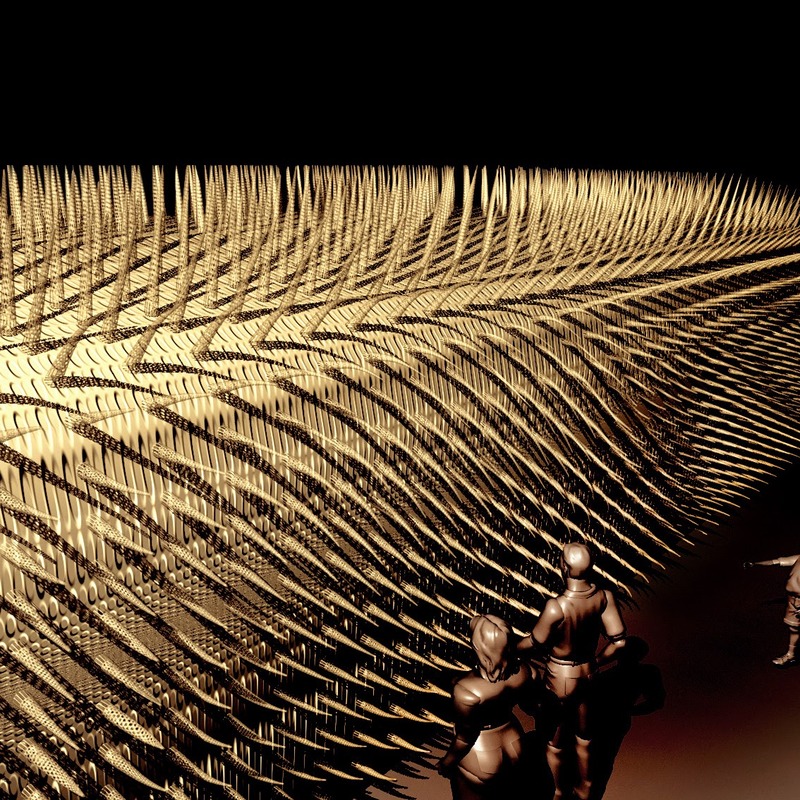 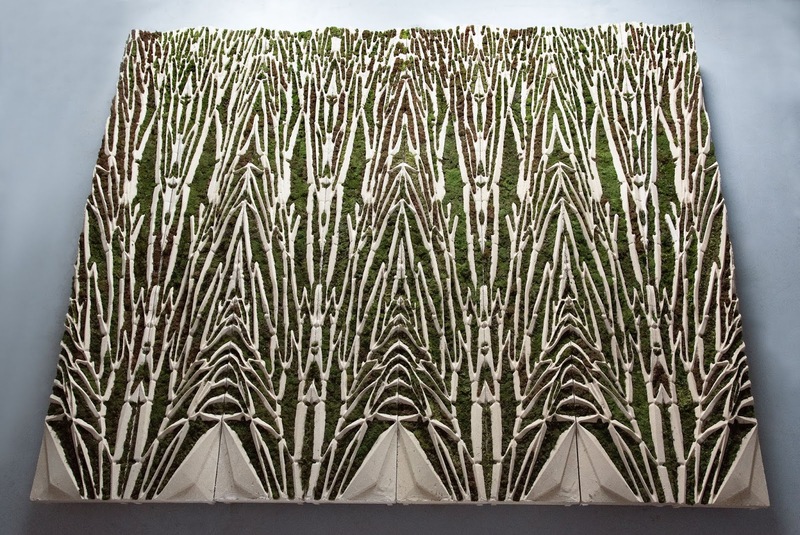 Newly launched MArch / MSc in Bio-Integrated Design (Bio-ID), Bartlett UCL. These two new design-led Master's degrees respond to the impact of biotechnology, computation and climate change on the built environment. 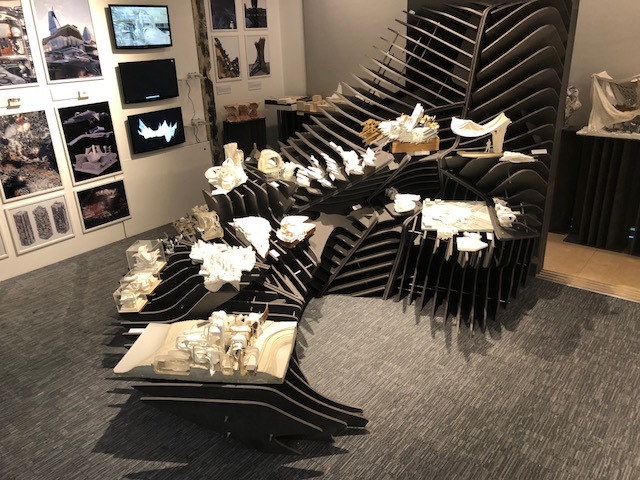 Bio-Integrated Design takes these fields of study as the foundation for developing novel and sophisticated design solutions to shape the future of our cities. Taught jointly by The Bartlett School of Architecture and UCL’s Biochemical Engineering Department, Bio-integrated Design combines design experimentation with scientific methods, seeking new modes of simulation and production, and exploring how advances in the fields of synthetic biology, material science and digital fabrication is changing future design practices. 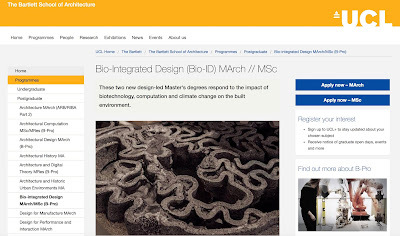 Two distinct Bio-Integrated Design programmes are available: an MArch degree and an MSc degree. 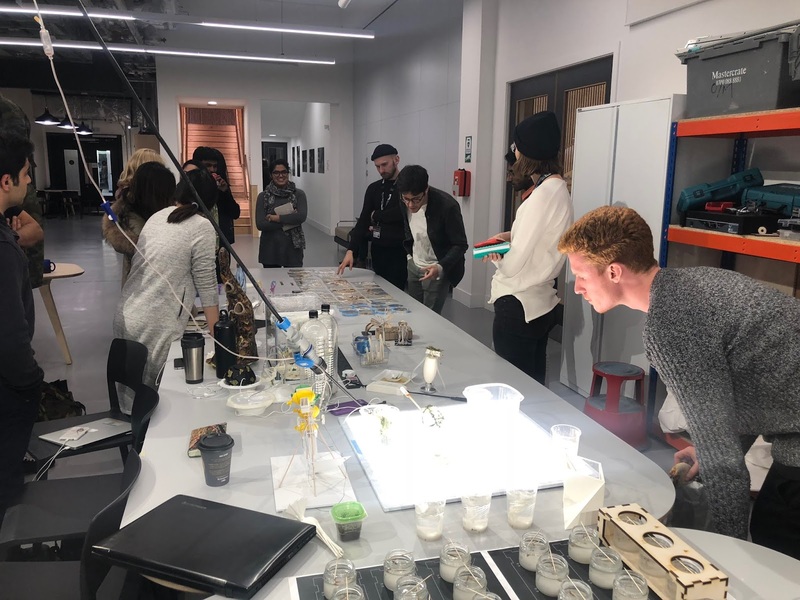 Applicants will be able to apply depending on their background and whether they seek to specialise in more exclusively design or more science-driven outputs. 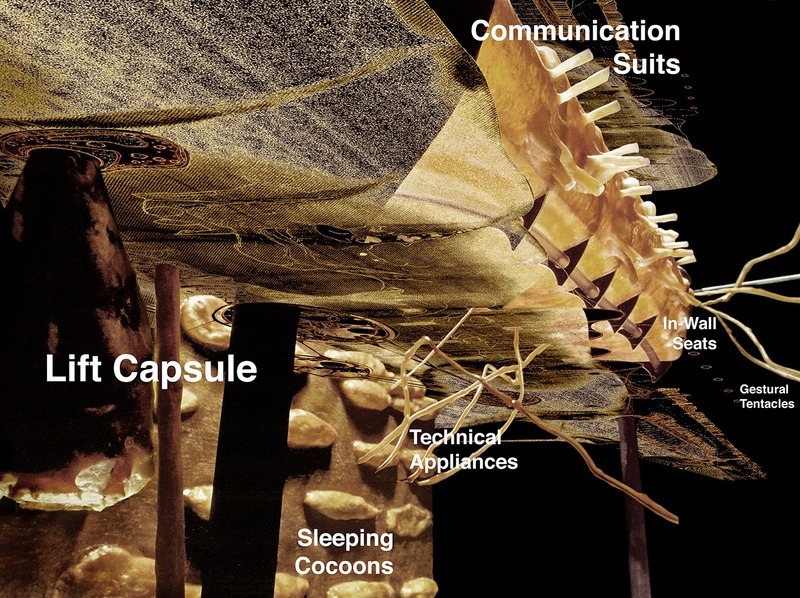 BiotA Lab / rC7 Crits, Bartlett School of Architecture, London UK. 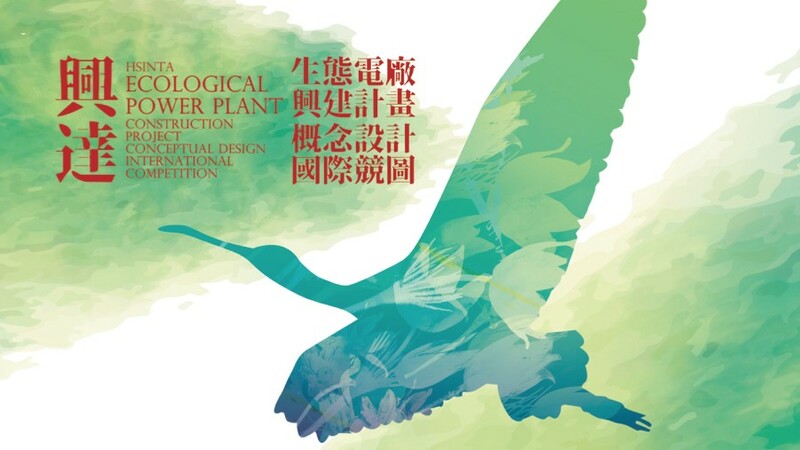 Jury Chair of the international architecture competition Hsinta Ecological Power Plant (conceptual stage 1), Kaohsiung Taiwan. C-Biom.A end-of-term Crits, Institute of Advanced Architecture of Catalonia / IaaC, Barcelona Spain. 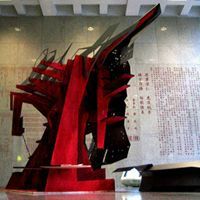 Interview by Elizabeth Pagliacolo for the Azure magazine, Toronto Canada. 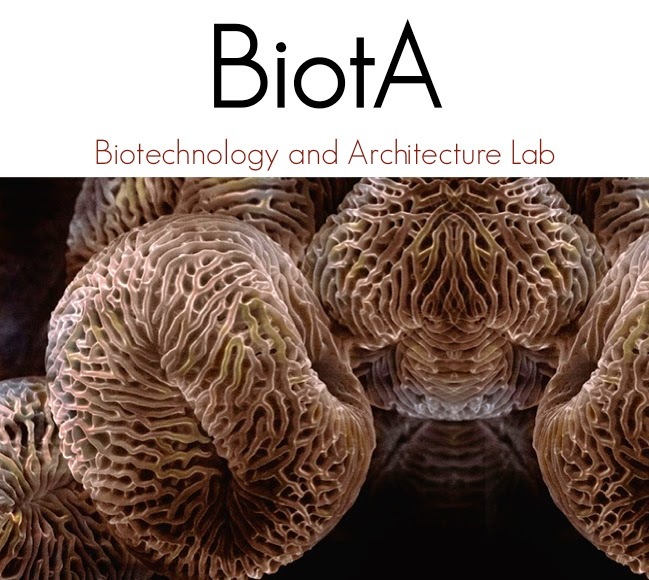 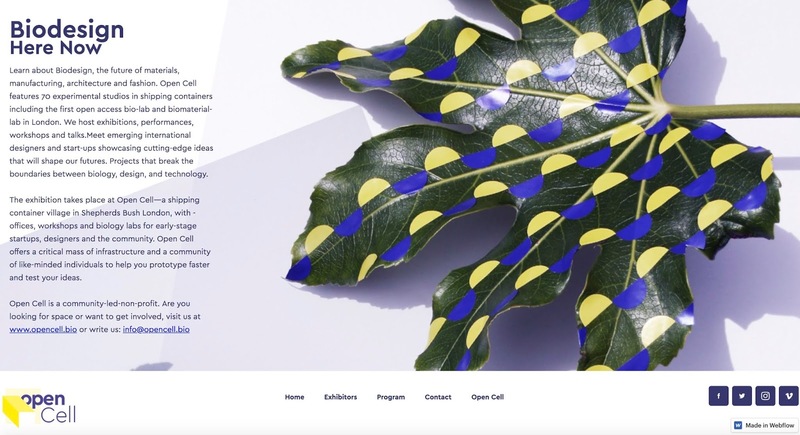 BiotA Lab exhibits at Biofabricate 2017, New York USA. Workshop/seminar session with Bartlett students held at the Shukhov Lab, Moscow Russia. 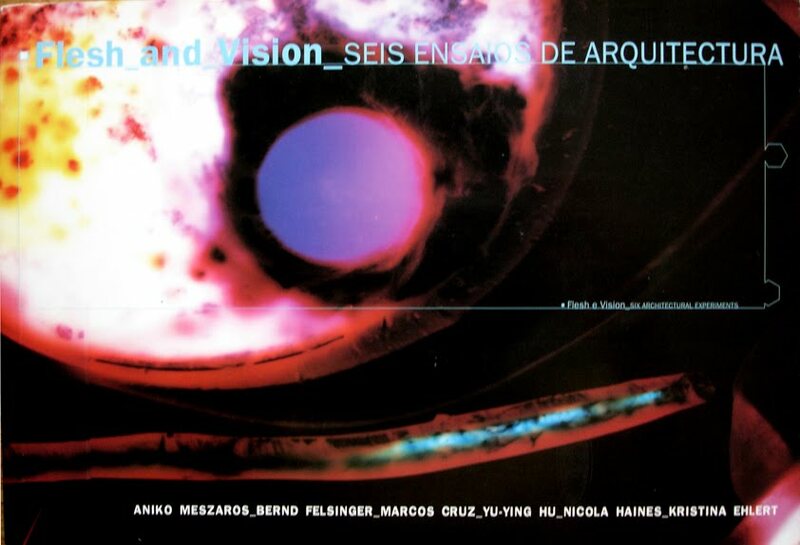 Interview by Carlos Aguirre Diez for the Radio Circulo - Circulo de Bellas Artes, Madrid Spain. 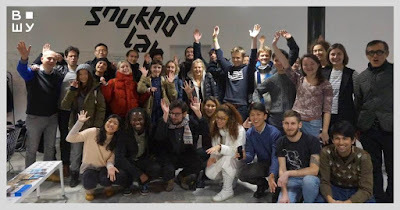 Jury member of the selection panel for the Professorship 'Bildnerische Gestaltung und Entwerfen' Leopold-Franzens University, Innsbruck Austria. 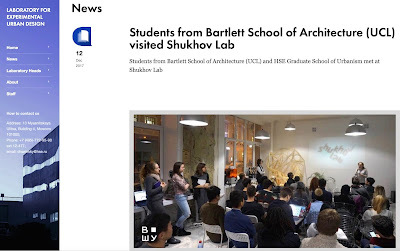 Interview by Jordi Vivaldi and Chiara Cesareo for the journal IaaC Bits / Institute of Advanced Architecture of Catalonia, Barcelona Spain. 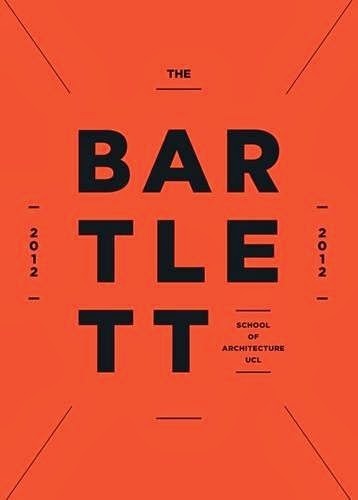 Interview by George Bull for the Bartlett Review, London UK. Keynote lecture at the Stone Design Show, Antalya Turkey. 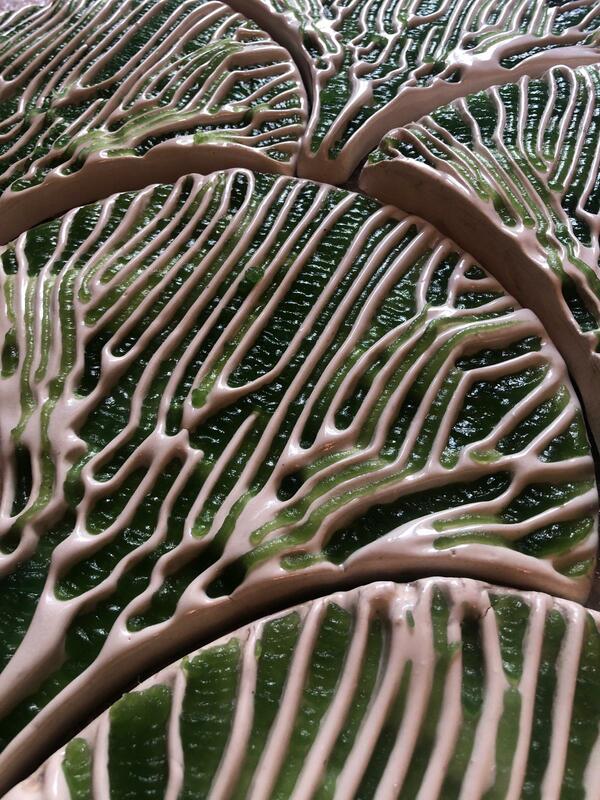 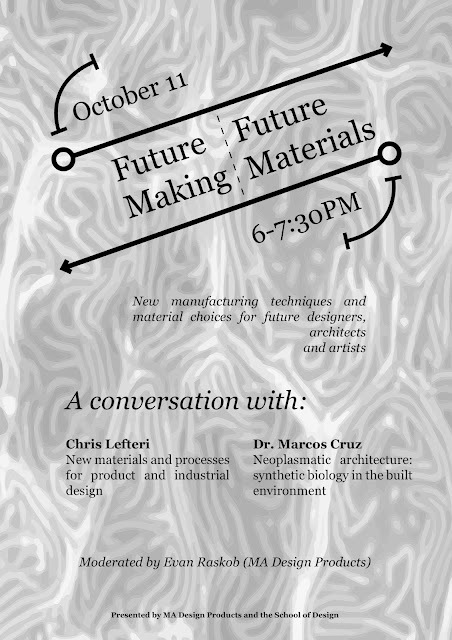 Lecture 'Bio-integrated Design', as part of the Future Making / Future Materials talks, Royal College of Art, London UK. 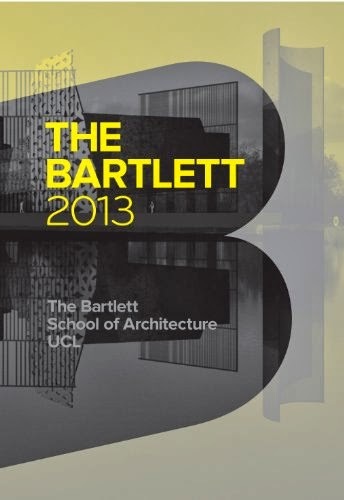 Unit 20 MArch Architecture, Bartlett UCL, London UK. 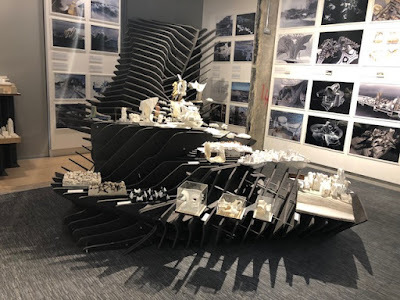 In a time of radical change, we architects are asked to develop a new attitude in which design adjusts to a new world order, determined by environmental transformations, socio-political confrontations and technological advances. 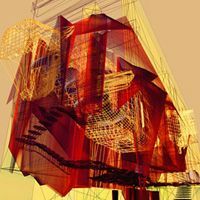 We need to rethink our practice in search of a new disciplinary Avant-garde that is in tune with the challenges of the 21st century. 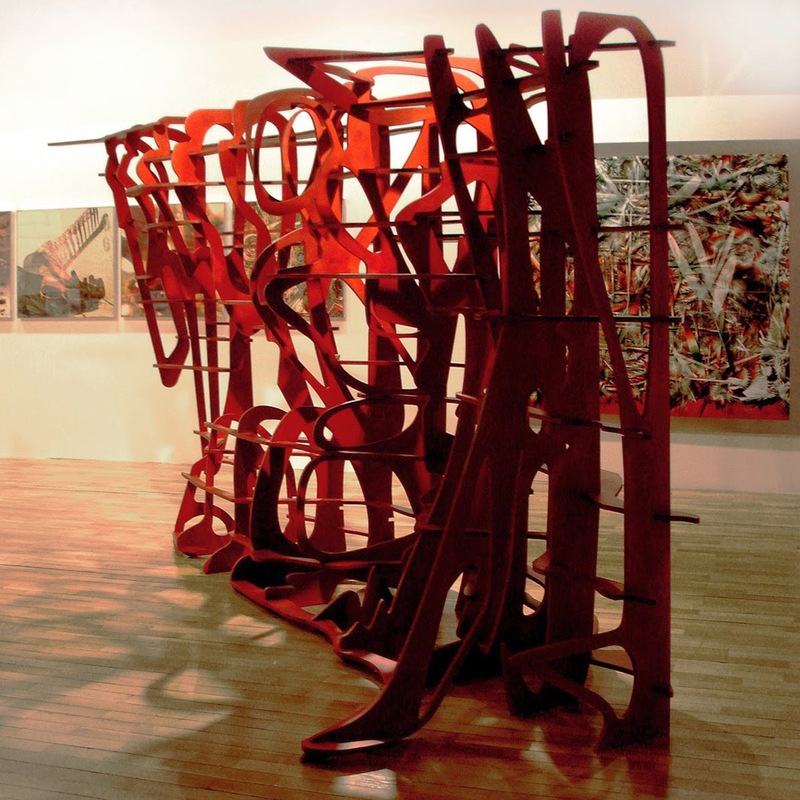 As one of the few real Avant-garde moments of our history, Constructivism was obsessed with abstract and dynamic compositional values that were embedded within a mechanistic culture. 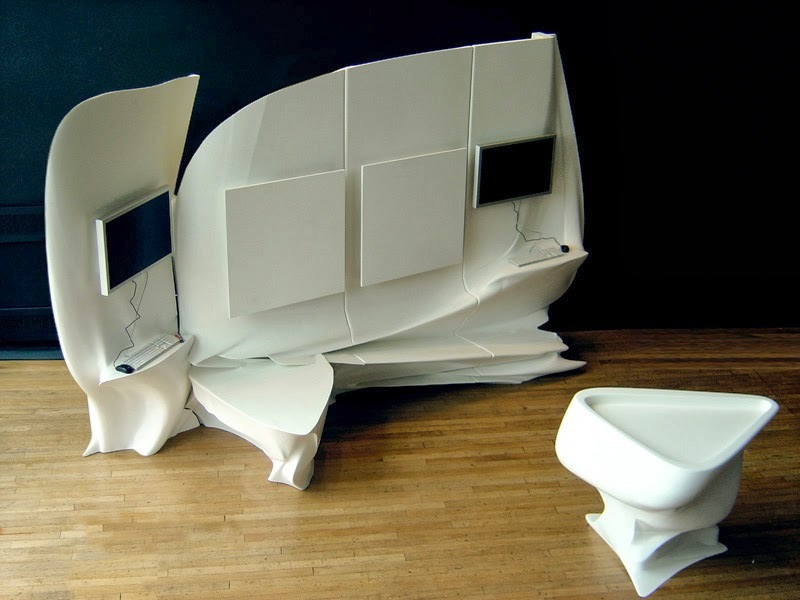 Today, however, we live in a post-digital era where cultural and technological parameters have fundamentally shifted. 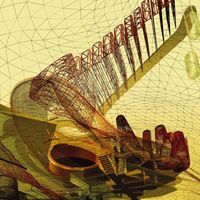 Instead of 'machine' we have machine-learning, AI (artificial intelligence) and robotisation. 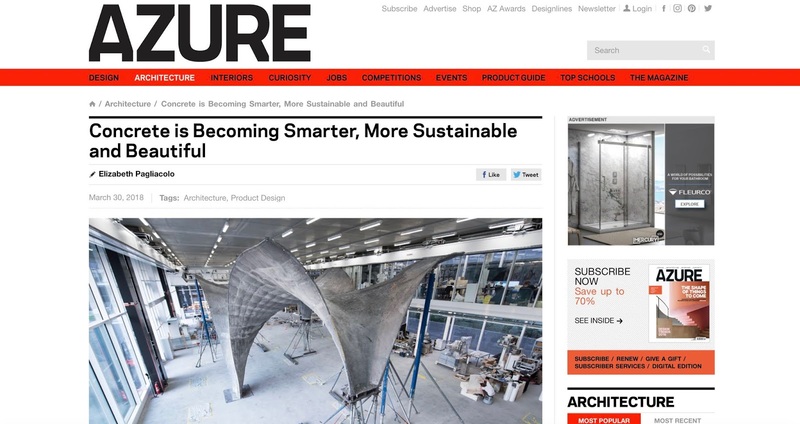 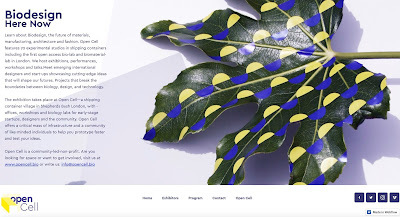 In parallel, 'nature' has taken on a new role on the frontline of design, research and innovation. 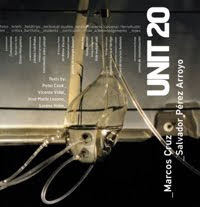 Unit 20 has looked for many years into nature as source of inspiration and subject of design. 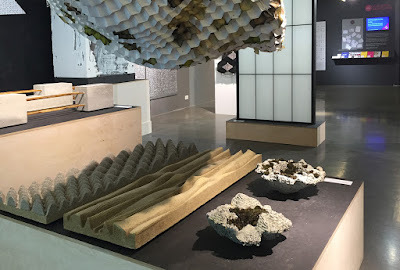 We have explored it with the use of physical model making and advanced digital tools, searching for new environmentally-driven designs that are typologically and tectonically novel. 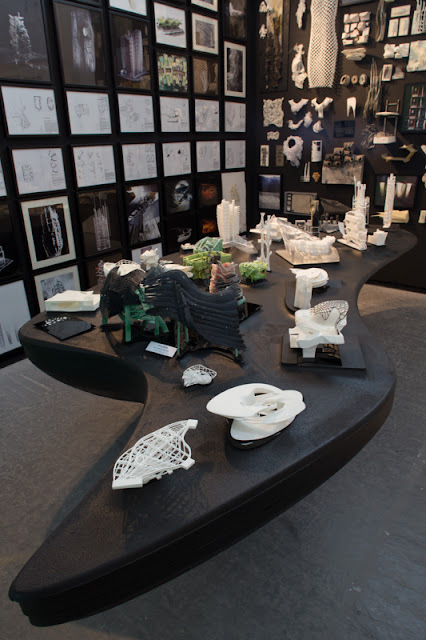 This year we are asking students to define the emergence of their own architectural Avant- garde. 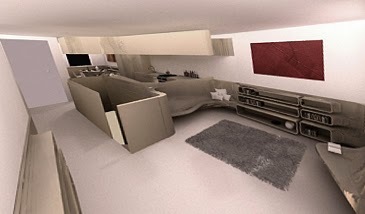 We will embrace design paradigms that look at nature 2.0 as an open toolbox of and for innovation and area of action. 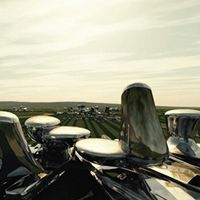 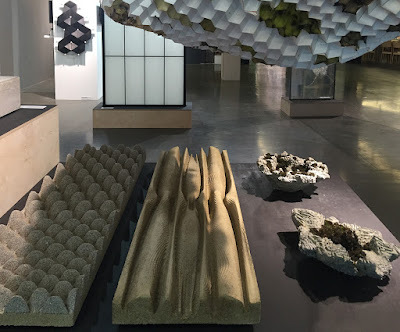 We will explore nature’s extraordinary geometric and material complexity; find environmentally-sensitive solutions in the extreme climate of Russia; work with its unpredictable and adaptable intelligence; and make use of its immense beauty. 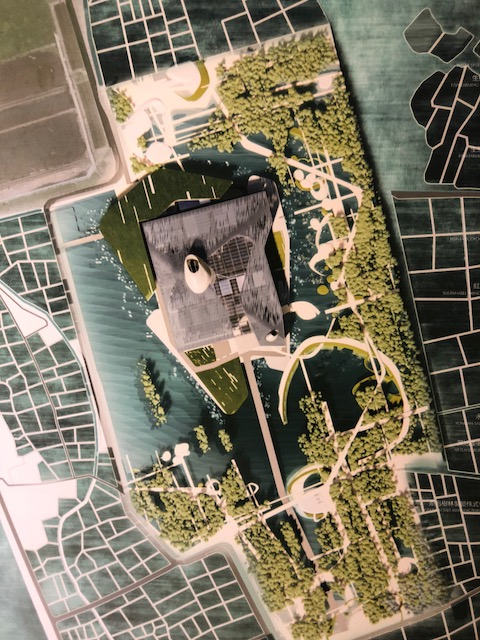 Programmatically we will focus on projects that will tackle various critical contemporary issues: from artificial to natural, from mobility to housing, from industry to landscape, from high-tech to low-tech, from State to Church... The projects will be sited in Saint Petersburg - Russia’s cultural hub and imperial city (for 4th years), and Moscow - Russia’s sprawling capital of mighty power (for 5th years). 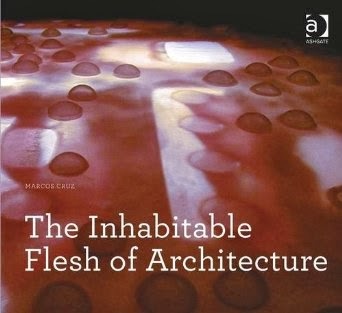 Filmed Interview: Marcos Cruz on future architecture for the Venice Biennale, Bartlett UCL, London UK. Lecture at International Symposium 'Polycephalum City', Tallinn Architecture Biennale 'BioTallinn', Estonia. 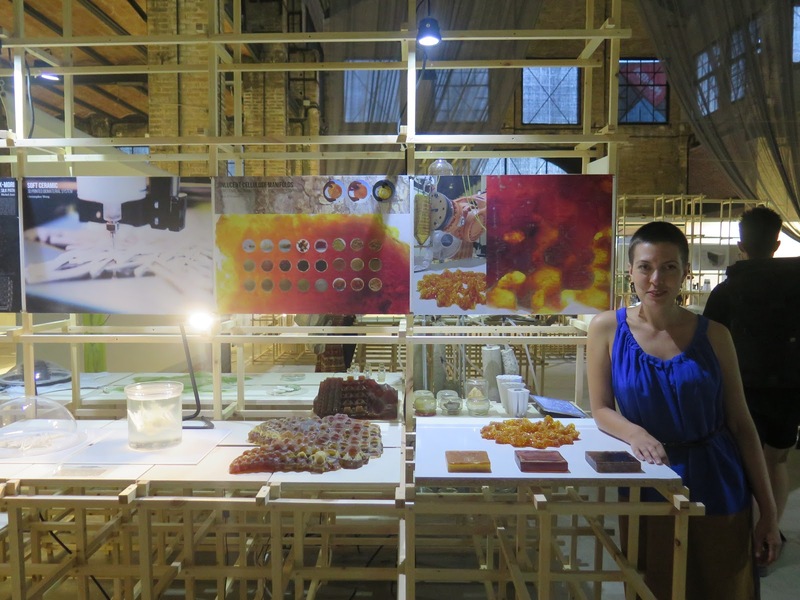 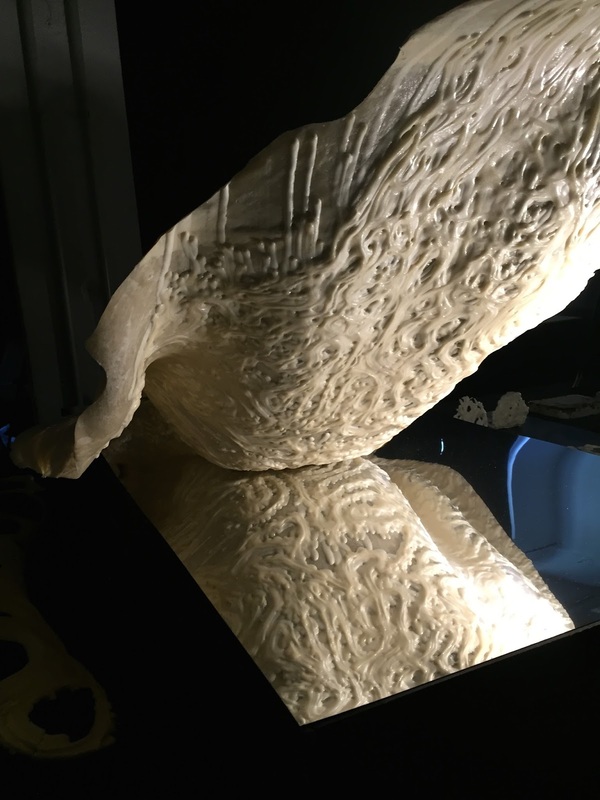 BiotA Lab exhibits at Tallinn Architecture Biennale 'BioTallinn', Estonia. 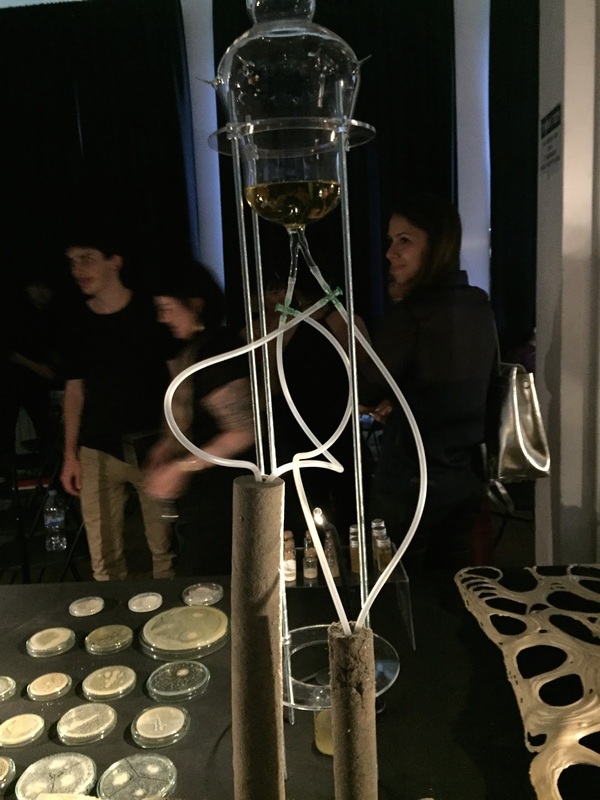 C-Biom.A group exhibits at 'Living (in) Future Cities exhibition - End of Year Exhibition', Institute of Advanced Architecture of Catalonia / IaaC, Barcelona Spain. 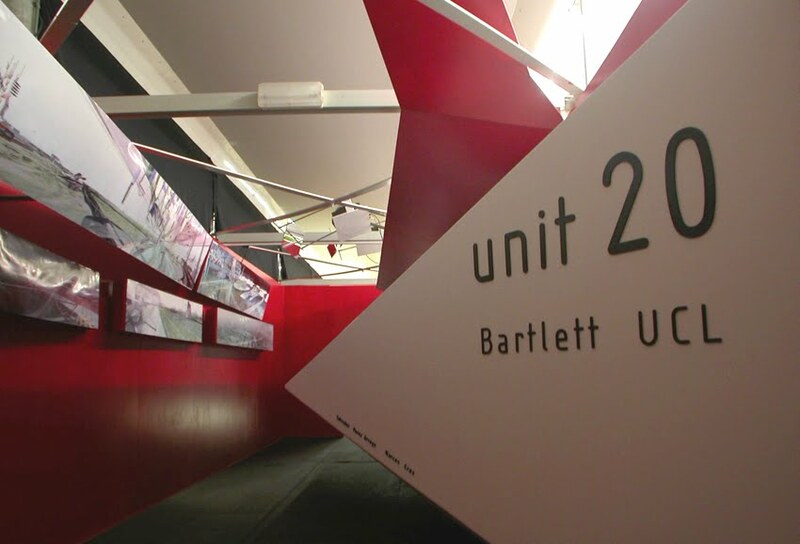 Opening of Unit 20 exhibition at Bartlett Summer Show 2017, London UK. Final Crits of C-Biom.A / Marcos Cruz Studio at the Institute of Advanced Architecture of Catalonia / IaaC, Barcelona Spain. 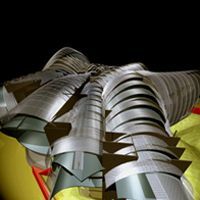 Presentation at VISION 2017 Future of the Built Environment, London UK. 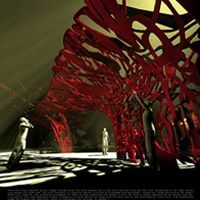 Presentation at the Responsive Matter conference: De L'impression 3D 'a la matiere 4D, Centre Georges Pompidou, Paris France. 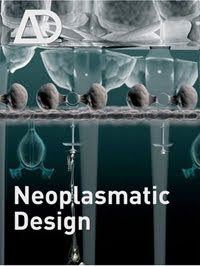 Speakers: Eduardo Kac (artist); Roger Malina (Chair of Physics, University of Texas); Jerome Bibette (Director of Biochemistry, ESPCI); Stefane Perraud (artist); Teresa can Dongen (designer); Benoit Roman (Director of Research, CNRS); Corentin Coulais (University of Amsterdam); Jean-Marc Chomaz (physician, Ecole Polytechnique Paris); Aurerie Mosse (designer); Dominque Person (artist); Emile de Visscher (designer); Ianis Lalemand (artist); Lia Giraud (artist); Jeanne Vicerial (designer); Selma Lepart (artist); Marcos Cruz (Bartlett). 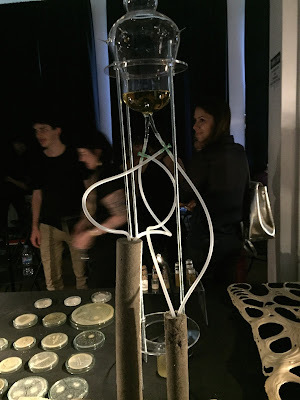 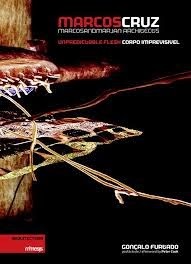 C-Biom.A Crits, IAAC, Barcelona Spain. 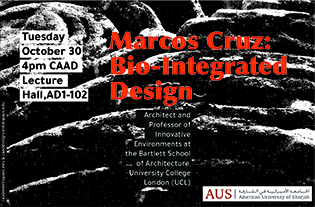 Guest Lecture 'Biointegrated Design' at Leicester School of Architecture, UK. BiotA Lab exhibits at ECOBUILD 2017, London UK. 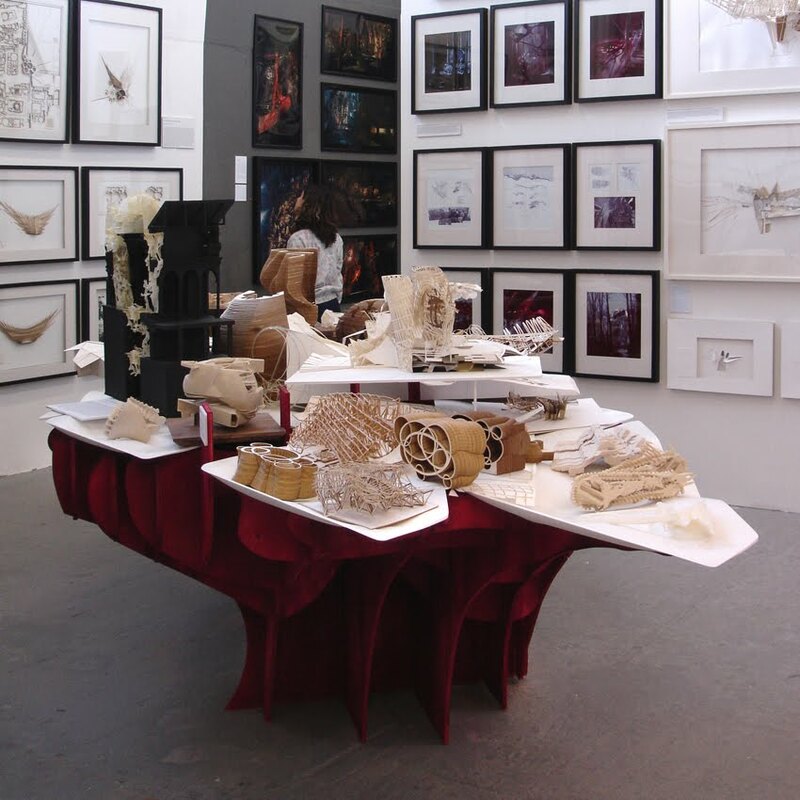 BiotA Lab exhibits at Super Material exhibition, The Building Centre, London, UK. 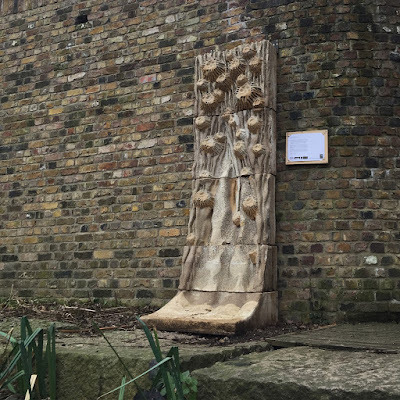 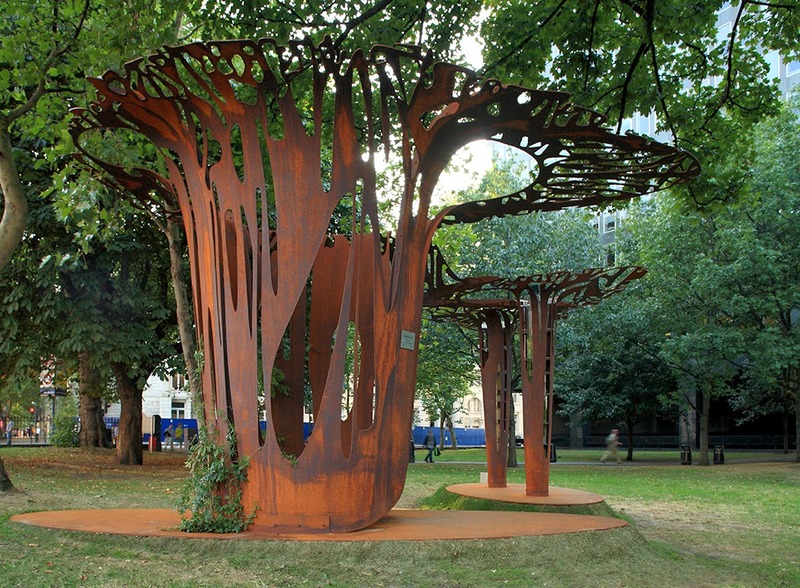 BiotA Lab prototypes installed at Camley Street Natural Park, London, UK.